Mount Martha , February 23, 2015 Acorn Garden Houses of Mount Martha has been awarded “Best of Houzz 2015″ for Design by Houzz.com.au, the leading platform for home renovation and design. Acorn Garden Houses a Design and Build Company specialising in unique outdoor living structures , Conservatories, Pool houses and Garden rooms was chosen by more than 25 million users that make up the Houzz community ( with over 1 million in Australia). Acorn Garden Houses was selected from among more than 500,000 home professionals worldwide!. 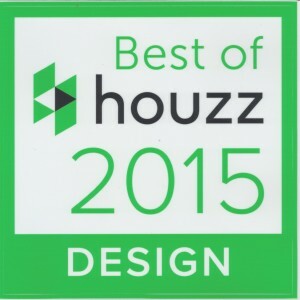 The Best of Houzz awards fall under two categories: ‘Design’ and ‘Customer Satisfaction’. Design awards are granted to home professionals whose work was the most popular among the more than 25 million monthly users on Houzz, affectionately known as ‘Houzzers”. Winners of the award will receive a ‘Best of Houzz 2015′ badge on their profiles to highlight their talents to the community. The Badge will highlight the award winner’s popularity and satisfaction rating among their peers on Houzz, distinguishing them to Houzzers around the world who discover and love their work. Posted on March 10, 2015 by Steve Acorn	Bookmark the permalink.